Palm Springs has been a getaway for Hollywood legends spanning from Frank Sinatra to Leonardo DiCaprio. To feed stars, locals, and snowbirds, entrepreneurs have opened a wealth of restaurants. 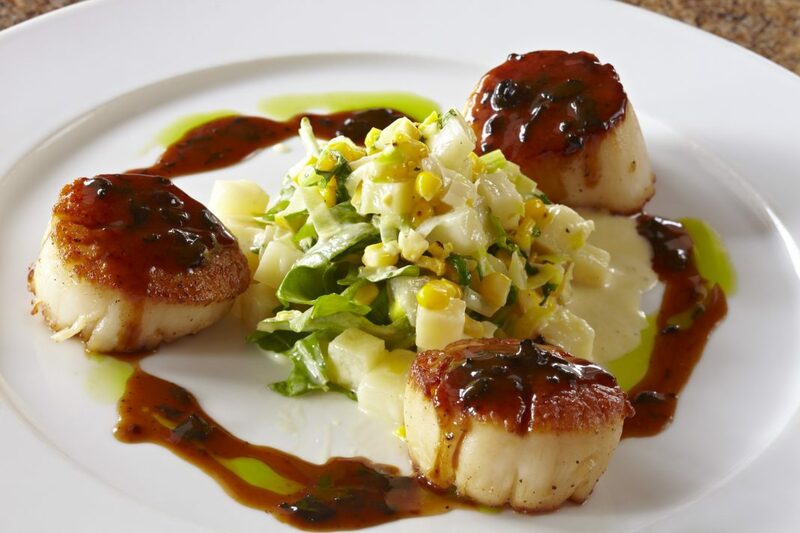 Discover five locally owned, focused Palm Springs dining gems. Chicago-born restaurateur Tony Marchese has worked hard to make Trio “where Palm Springs eats” since opening his first desert restaurant in the Uptown Design District in 2009. The space occupies a Mid-Century Modern bank, features an inviting planter-lined patio, and showcases an eclectic American menu with Italian influences that becomes most ambitious at dinner. Bold flavors pervade dishes like slow-roasted Yankee pot roast and chipotle-rubbed St. Louis-style pork spare ribs, plus weekly specials like luxurious lobster pot pie. 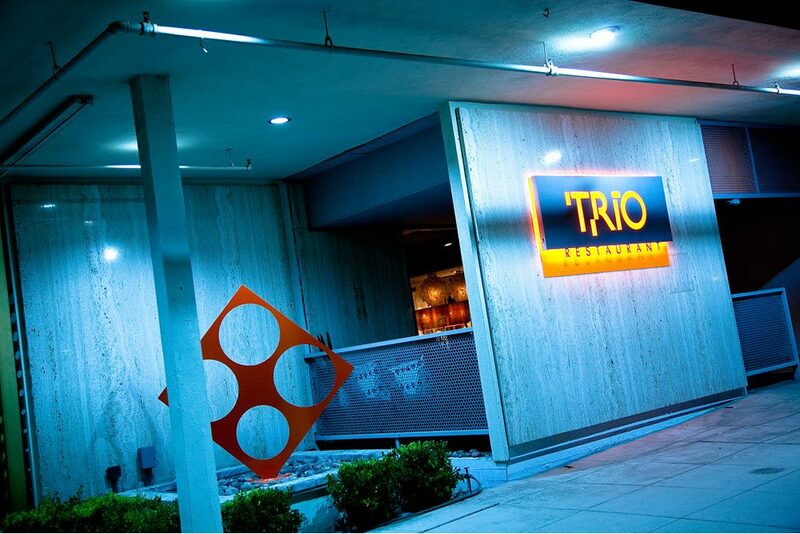 Value hunters and linner fans will appreciate Trio’s three-course, $22.99 prix fixe meal that’s available between 11 a.m. – 6 p.m. and draws from the regular menu at a substantial discount. Dead or Alive isn’t just a Bon Jovi song thanks to Palm Springs native Christine Soto and designer/partner Anthony Cioffi. 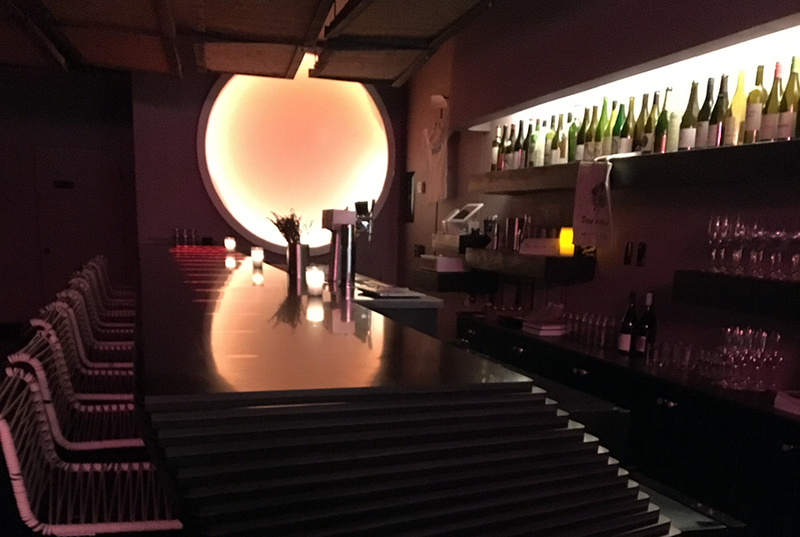 They debuted this stylish bar in 2015 and have earned a loyal following on the strength of her wine program, his beer list, and the unique vibe they’ve cultivated. Seats in wood booths and at a curved black bar are at a premium as guests bask in the glow of a sun-like orb that changes color throughout the night, like a desert sunset. DOA’s tight beverage menu includes 16 wines by the glass, six beers on tap, and some atypical bottles and cans. Guests might find a citrusy 2016 Silkman Semillon from Australia’s Hunter Valley or an equally vibrant “Sunny IPA” from L.A.’s Three Weavers called The Messenger brewed with Buddha’s hand and yuzu. The duo serves limited snacks like Frankinbun potato chips, mixed nuts, and Kreem ice cream. Johannes Bacher melds the flavors of his Austrian youth with local ingredients at Johannes, a modern Palm Springs classic. 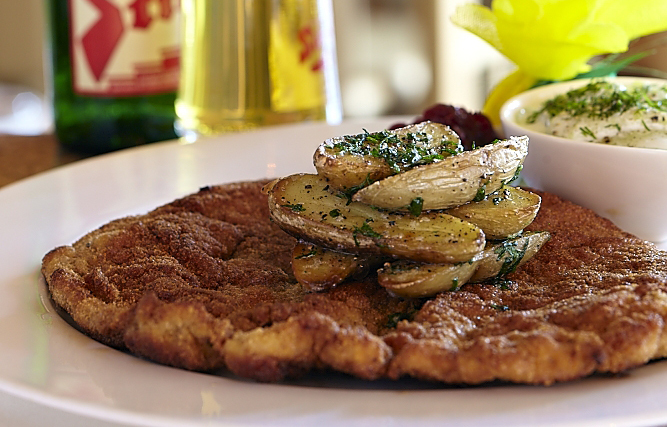 Bacher prides himself on wiener schnitzel and even created a Schnitzel Lover’s Menu that goes beyond his signature pounded, breaded and pan-fried veal cutlet piled with roasted parsley fingerling potatoes that’s served with cranberry jelly, cucumber and dill sour cream dressing. Pizza-like Mama’s schnitzel comes topped with Roma tomatoes, Gruyere and Fontina cheeses, and basil. He also makes versions with green Madagascar peppercorn sauce and even provides a chicken substitute. Other dishes draw on Bacher’s travels, and five years as Seabourn Cruise Line’s corporate chef, including Malayan meatballs braised in yellow coconut curry. Chef Tara Lazar and Foundation 10 Creative made a big impact on the Palm Springs landscape between Birba, Cheeky’s, Chi Chi, and boutique Alcazar hotel. In 2015, the company rebranded a 70-year-old Palm Springs institution called Lyons English Grille as Mr. Lyons Steakhouse. 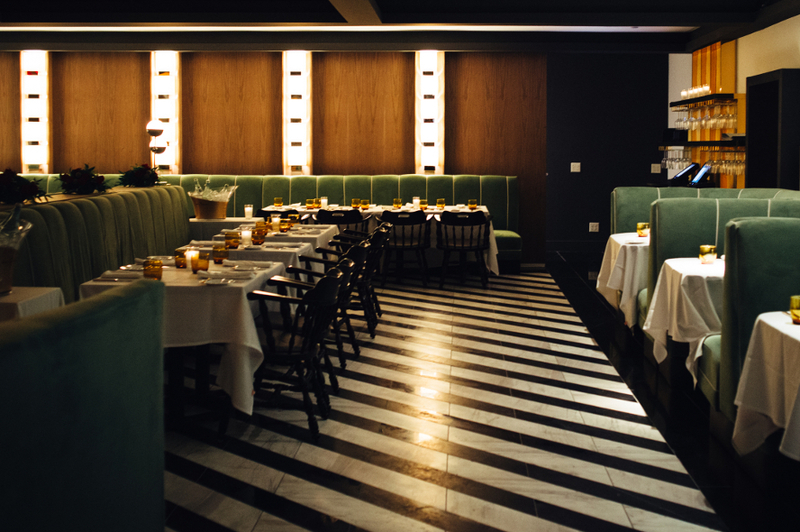 Two lion statues remain, welcoming diners into a space with black and white striped marble floors and sumptuous green booths. Meat is at the heart of the sprawling menu, including slow-roasted Prime rib, a massive 36-ounce Prime tomahawk rib chop, and beef Wellington in puff pastry with sticky Bordelaise sauce. Modern twists include beef Bourguignon made with beets and Texas quail, quail egg, and fig yakitori. Dessert calls for retro desserts like baked Alaska. In back, Seymour’s is a 25-seat speakeasy with vintage Vanity Fair caricatures and a deep cocktail roster. 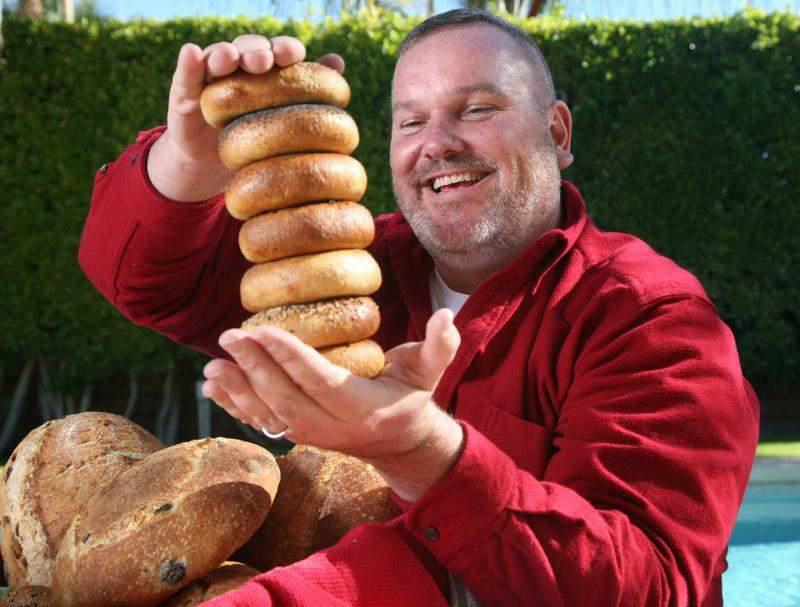 New England born Bill Sanderson and partner Andy Wysocki debuted Townie Bagels in 2015. Their neighborhood favorite touts a grey and white color scheme, stylized photos of vintage cars, and some of the city’s best bagels and coffee. Wysocki boils bagels in malted water before baking, resulting in a memorable chew whether they’re plain or flavored with the likes of pumpernickel or Asiago cheese. Possible toppings include chive cream cheese, hummus, and silky lox. Bagels also fuel sandwiches like Everything Bill Feingold, named for a local news anchor, that crams bacon, ham, sausage, egg, and molten Swiss cheese between a salt bagel. Wysocki also craftes challah rolls, cranberry walnut ginger loaves, and babka (cinnamon or chocolate). Head to VisitPalmSprings.com to plan your next trip!